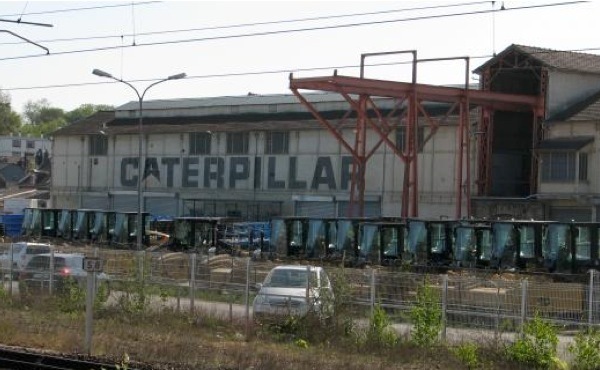 Caterpillar (NYSE:CAT), the world's largest maker of construction and mining equipment, is planning to shut down and sell its plant in Rantigny, France, about 65 km north of Paris, L’Usine Nouvelle reports (in French). The facility, which employs 244 people, produces equipment for road paving, including compactors, planers and pavers. According to the article, the firm will relocate two of the three production lines to the US, and will temporarily continue to make universal or multipurpose machinery in Rantigny, while seeking for a buyer for this sub-division. If Caterpillar fails to find a taker by the end of 2015, the making of that sort of equipment will likely be transferred to Italy, the report says. Over the past year, Caterpillar has closed or announced plans to shutter several US-based plants, such as those in West Virginia and South Carolina, as well as one near Toronto, its Canadian subsidiary Electro-Motive Canada (EMC) and another in Sudbury. Early last year the company unveiled plans to eliminate 1,400 jobs at a plant in Gosselies, Belgium.